Thomas Fogerty Winery is a special place. It's perched at the top of a mountain, from which one can see both San Francisco and San Jose. 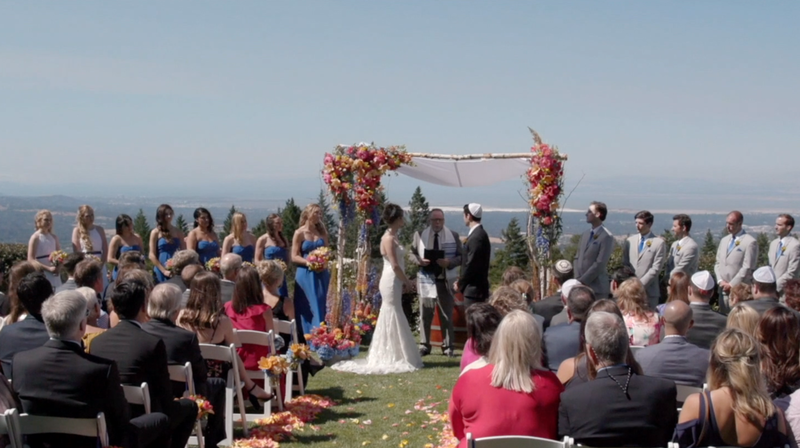 It's the kind of place that drones thrive in, and we absolutely loved flying our drone during Katie & Jon's big day, capturing the surrounding hills and the vines, especially as they came under the dusk fog. We'll remember this wedding for many reasons, but it was especially the toasts that will stay with us. Each speech was sophisticated, warm, and often hilarious. We were especially touched when Katie's sister used sign language to express the simple love in a song. Special thanks to Jon, as well, whose sense of humor kept us laughing throughout the day, and to Katie, whose warmth and class made us eager to film. If you would like to download any of Katie & Jon's films, you can do so as many times as you would like without charge. Just click the links below. 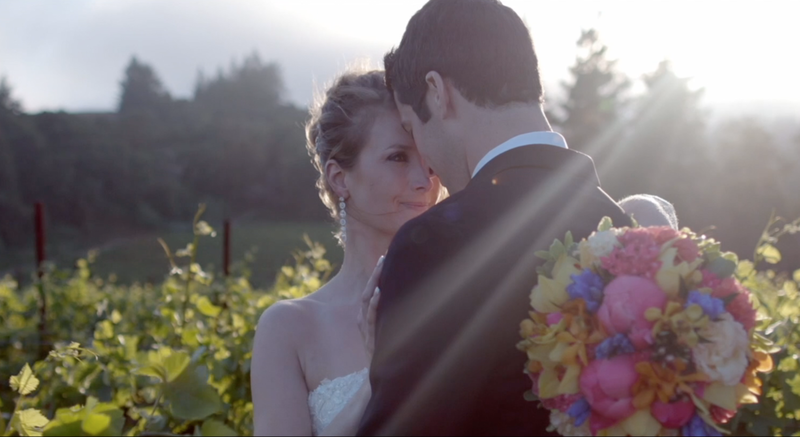 The password for the "Extended-Cuts" film and "Ceremony" film is: "Katie." We wish Katie & Jon all the best as they start their married lives together.